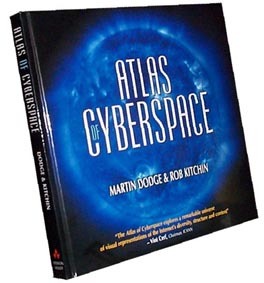 The Atlas of Cyberspace, by Martin Dodge and Rob Kitchin, is the first comprehensive book to explore the spatial and visual nature of cyberspace and its infrastructure. It uses a user-friendly, approachable style to examine why cyberspace is being mapped and what new cartographic and visualisation techniques have been employed. Richly illustrated with over 300 full colour images, it comprehensively catalogues 30 years worth of maps that reveal the rich and varied landscapes of cyberspace.